Used 2009 Chevrolet Express 2500 Cargo for Sale in Hopkins MN 55343 BellMobile Inc. 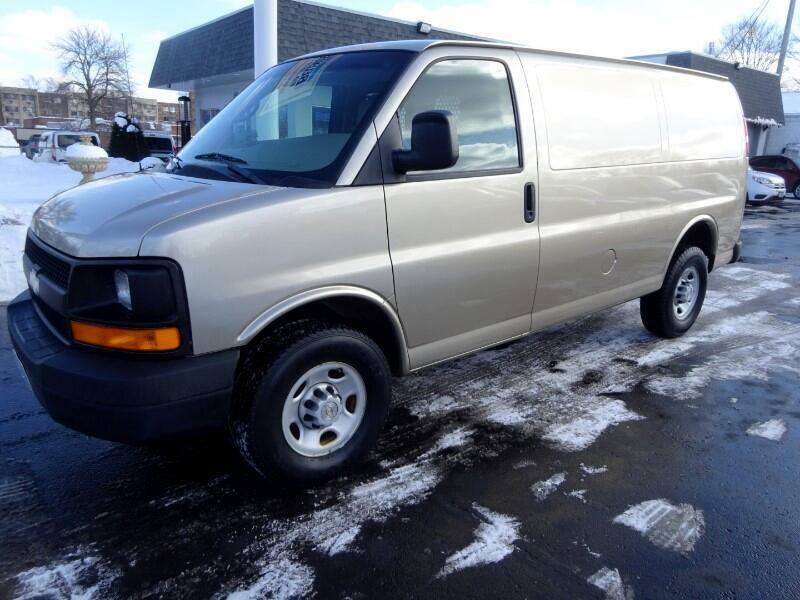 This One Owner, Low Mileage, 2009 Chevrolet Express 2500 Cargo Van is equipped w/Gold Exterior w/Beige Cloth Interior, 4.8L V8 Engine, Automatic Transmission w/Overdrive, Air Conditioning, AM/FM/CD Stereo Radio, Anti-Lock Brakes, Power Locks, Keyless Entry, Plus all Standard Options, Cargo Mat, Bulkhead, Plus More. Well Maintained & Serviced. SERVICE RECORDS Available on CARFAX.Com. Free CARFAX Vehicle History Report Available Upon Request. Warranty, Call for More Details! Financing Available with Approved Credit. BellMobile Sales & Leasing, The Place for Buying, Selling, and Leasing Vehicles! Visit BellMobile Inc. online at www.bellmobile.net to see more pictures of this vehicle or call us at 952-544-5710 or 866-235-5662 today to schedule your test drive! Visit BellMobile Inc. online at www.bellmobile.net to see more pictures of this vehicle or call us at 952-544-5710 today to schedule your test drive.